Rinse the kelp noodles in water first and cut into desired lengths and put into a bowl. Make the Honey Mustard Dressing – click here to find how to make it. 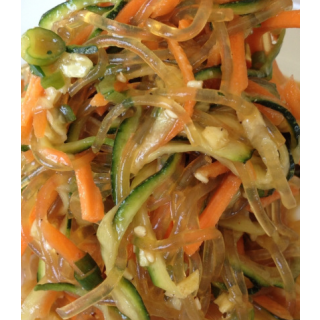 Thinly slice your carrots and courgettes and chop the ginger into small pieces. Add to the bowl of kelp noodles. 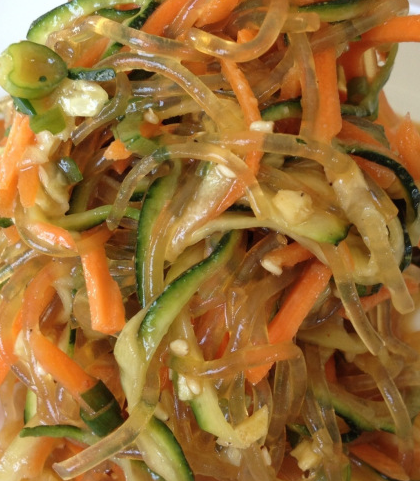 Take your Honey Mustard Dressing and drizzle as much as desired to the kelp noodles, carrots, courgettes and garlic. Then gently stir everything together. Put in the fridge for 15 minutes to let all the flavours come together.